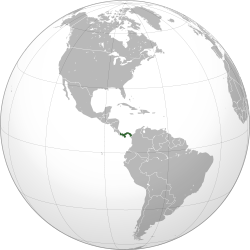 Panama , Central America ke ek des hae. Iske official naam Republic of Panama hae. Hian ke sab se famous chij Panama Canal hae. Panama ke Northwest me Costa Rica aur southeast me Colombia hae. Panama Caribbean Sea aur Pacific Ocean ke biich me hae. Hian ke jaada log (lagbhag 80%) Roman Catholic hae. Panama Travel Portal Information portal on Panama - news, jobs, travel, property. Ii panna ke 16 May 2014, ke 09:11 baje, pichhla time badla gais rahaa.